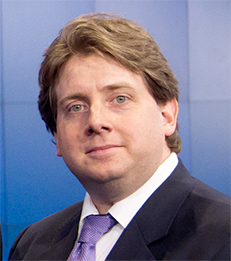 A winner of the 2013 Distinguished Teaching Award, Joseph Foudy joined NYU Stern School of Business in 2006 and is a Clinical Associate Professor of Economics. Professor Foudy has extensive teaching experience, working on Stern's core courses on macro/international economics and global business as well as electives covering Asian economics and management, economic thought and globalization. He is interviewed regularly on business, economic and international issues and has appeared on CNN, Fox, PBS and NPR as well as many international and New York City television outlets. He has also been quoted in the New York Times, Wall Street Journal, Washington Post and other international and domestic newspapers and magazines. His research interests focus on the impact of globalization on national systems, the political economy of financial and accounting regulation and comparative corporate governance. He received his Ph.D. in Political Science from Cornell University in 2004.